Did you know there is an insurance cover that comes with air tickets. It makes airlines liable to pay compensation for loss or damage to your luggage, besides injury or death, due to their fault. Here are some more covers you probably don't know about. You work hard from day till night. You are tired and want a break from your hectic schedule. So, you plan a vacation. You are excited about the trip. You board the flight. Both take-off and landing are smooth, until you are informed that your check-in luggage hasn't reached the destination. Phew! Your plan for spending a quiet vacation with your family is ruined. Deep down inside you are annoyed while shopping for clothes and other essentials, wondering about the household budget for the next month. Such an experience can be heart-breaking. But you might have saved yourself some pain had you known about the insurance cover that comes with air tickets. The cover makes airlines liable to pay compensation for loss or damage to your luggage, besides injury or death, due to their fault. All you need to do is file a complaint and follow it up. Similarly, while accidents from LPG cylinder malfunction are not uncommon, not many people are aware that they can file an insurance claim for loss of life and property if such a thing happens. This is because gas agencies do not inform customers about the cover. According to the HPCL website, all registered LPG gas cylinders users are insured against the risk of such accidents at their registered addresses. It is an inbuilt cover and does not require extra documentation. Let's discuss such covers in detail. WHAT IT OFFERS It might not be a lot but going by the saying that 'a little something is better than nothing' it may be a relief to know that your bank deposits are insured up to Rs 1 lakh against default by banks. 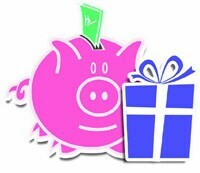 This is for all deposits such as savings, fixed, current and recurring. The cover is offered by the Deposit Insurance and Credit Guarantee Corporation (DICGC), a subsidiary of the Reserve Bank of India or RBI. Each depositor's principal and interest is insured up to Rs 1 lakh in the event of the bank being unable to pay back due to liquidation, cancellation of licence or merger. In 2012-13, the corporation settled claims for Rs 199 crore related to 63 co-operative banks. There was no claim from commercial banks. FILING A CLAIM The DICGC has to pay each depositor through the liquidator within two months of the receipt of the claim list from the liquidator. FINE PRINT The Rs 1 lakh limit stays even if you have deposited more with different branches of the same bank. For this purpose, all deposits are aggregated and maximum Rs 1 lakh paid. However, there are separate covers for deposits in different banks. WHAT IT OFFERS All registered gas consumers are insured against the risk of accidents from LPG cylinders at their registered addresses. The cover is for all family members. 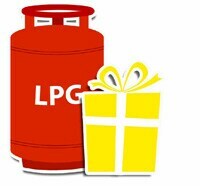 Besides, LPG distributors have third-party liability insurance. In case of death, the kin have to appeal in the court for compensation. The court decides the amount according to the victim's age, salary and other conditions. FILING A CLAIM The accident has to be first reported at the local police station. You should also inform the distributor in writing within a few days. The distributor will inform the oil company and the insurer. FINE PRINT We called up many gas distributors to enquire about the cover. All of them refused to comment. In such a scenario you may have to push hard to pursue the case. Moreover, to ensure that your claim is not rejected, you should use ISI-mark accessories (such as lighter and gas pipe). You should also ask your gas dealer to carry out maintenance checks at regular intervals. 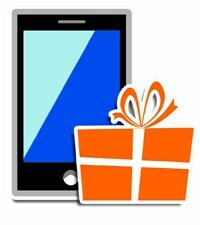 WHAT IT OFFERS Under this insurers offer group covers for smart phones through retailers. Mobile insurance is once again picking up, says Ravichandran, but the cover offered is restricted to accidental damage and burglary. "Tata AIG offers sim insurance wherein the sim is protected against misuse in case it is lost or stolen. In a lost or stolen sim card if there are any calls, the cost of those calls is reimbursed by us." WHAT IT OFFERS Under the Companies Act 2013, which became effective from 1 April 2014, companies have to buy a cover of up to Rs 20,000 for corporate deposits. Otherwise they will be fined. However, companies are facing a problem as no insurer offers such a cover. 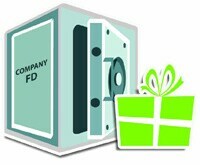 The DICGC, which covers bank deposits, cannot insure company deposits. General insurers say they are looking to launch such covers. "We have been in talks with the regulator for permission to offer covers for corporate deposits," says KK Rao, general manager, The Oriental Insurance Co. M Ravichandran, president, insurance, TATA AIG General Insurance, says, "Deposits accepted by banks are already insured within the banking system and do not require an additional cover. However the new Companies Act specifies that all companies, barring banks, which accept deposits must get these insured. General insurers are, therefore, looking at offering relevant covers. These are expected to debut in the near future." The Insurance Regulatory and Development Authority does not allow general insurers to offer credit insurance. FILING A CLAIM As no insurer offers such a cover, we will have to wait and watch to understand the process. That is why the government has given the companies time till March next year to comply with the requirement. FINE PRINT The Rs 20,000 limit is small. Experts say the government may look at revising the limit. WHAT IT OFFERS "Most airlines offer a legal liability cover under which passengers are compensated for loss of baggage," says Sanjay Datta, chief, underwriting and claims, ICICI Lombard. The award of liability is governed by the Montreal Convention. The website of Air India states, "In the event of damage or loss of baggage, claims will be settled as per the applicable convention. As per the Warsaw Convention, the compensation is computed at the rate of $20 per kg. Under the Montreal Convention the maximum compensation is SDR 1,000 per passenger for loss/damage/delay of baggage." The SDR, or Special Drawing Rights, is the currency used by the International Monetary Fund. One SDR is valued around Rs 93. The value changes with fluctuations in the market. FILING A CLAIM You need to contact the airline. After filing a claim, do not forget to take a copy of the reference number for follow-up action. The claim amount will be paid by the airline and not the insurer. FINE PRINT: You get only a few days to file a claim. So don't delay the process. Also, as a precaution, while travelling, make sure that the baggage is packed and locked well so that it can be transported with ease from one place to another. Also, avoid carrying jewellery and other expensive stuff in your luggage. Keep purchase receipts for clothes, luggage, etc, as they may be useful while submitting a claim.